I was just turning a teen, back in 1993. I was studying in class 8 in a Govt school [Govt School Number 9]. This school was (still is) run in a temple – Anandeshwar – at the heart of a town Dhar in MP. A new student had enrolled in our class – Ramesh. We did not know much about him. One day one of my friends and classmate – Varun – told me more about Ramesh. Varun said – “You know what, Ramesh is an orphan, he lives in Pipalkheda orphanage”. I knew that Pipalkheda village, the orphanage was about 8 KM from our school that too on a state highway. Those days riding a cycle on those roads was not an entertaining affair because roads were only two-lane without divider and not as good as a highway we see now a day. I am sure you know, education does not mean only school fee. Education included uniform, books, notebooks and for Ramesh a bicycle for commuting 8 KM. School fee for our school was about 5/- (INR 5) per annum. Yes that is it; I had a receipt of my class 5 – year 1990 – with me for long time wherein the fee paid was 1/- (INR1). Perhaps that orphanage could not afford all those things for every kid and therefore the decision to continue education of only one after 7th might have been taken. Though Ramesh could have studied in other School [Govt School Number 10] saving his one way travel of 2 KM daily, he decided to join Anandeshwar. Pipalkheda had no school after 7th. Ramesh’s story moved me. I still remember a lot of the incident because that time I decided to adopt an orphan when I grow up. The dream also grew when I grew up, the idea shaped into adopting an orphan (specially a girl child). In later stage that dream grew into starting an orphanage with a school in it. I questioned orphans do not have a family, how can they have a family like growing up? When I came in Mumbai I saw old age homes. For a town guy this was something strange. The dream further evolved into having an orphanage, school and old age home. The elders who can teach can become teachers and others can become family for the orphans. This dream is just a dream currently. It remained my dream because I never wanted to take money from anyone (investor, philanthroper) for realizing it. I said to myself – It is “my dream”, and I have to work towards realizing it. The dream evolved on the lines of how to make the cause a self-sustained cause. This evolved into adding plans of having a community hall with the orphanage, school and the front of the place facing main road as commercially rented shops et al. This can help generate some funds for the dream to become self-sufficient, even if only partially. The ideas have been evolving. There was a time and occasionally comes a time when I start running behind money, so much that I can do what I dreamt (and evolved that dream) as a teenager. I am still growing and learning. One of the lessons from the two decade old dream is – remove “I” and “My” from it. Would it hurt me if someone else (who has funds) executes it? I would be happy that someone did it or doing it. If someone executes and I come to know, I can help share my skills for the same, right? Go ahead. It is a great thing that you plan to do. I know others who have done it and have been very happy with the outcomes short and long term. Thank you so much uncleji. Your advices have always been a great support. Very boble !!!! I shall also be happy to share any of the responsibility….as ..when needed!!! Yes it would be great. Insha-allah when I start a school you can be the principal there. Long way to go for fulfilling that dream. 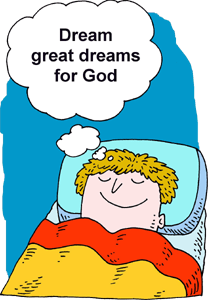 You have a wonderful dream, Pravin. Don’t give up. Thank you so much Maxi… I am striving to fulfill it.